Post inspired by a reader. Thank you for your questions, and I hope this can answer some of them. A clean scalp is vital for healthy growth. Cleansing the hair is also a product of good hygiene. Start by washing your hair 1x a week and tweak it from there. In between washes, does your scalp or hair feel extra dirty? If so, increase the frequency of your washes. If your hair is 5 inches or longer, I highly recommend washing in braided sections. Choosing a shampoo: It is important to invest in a weekly shampoo that lacks Sodium Lauryl Sulfate (SLS) and Sodium Laureth Sulfate, which are surfactants that may be too harsh for the hair and scalp. I generally gravitate towards shampoos containing gentler cleansing agents to be on the safe side. Whether you wash 1x a week or 3x a week, follow it up with a deep conditioning session. Why? Because each wash rinses away the benefits of the previous the deep conditioning session. 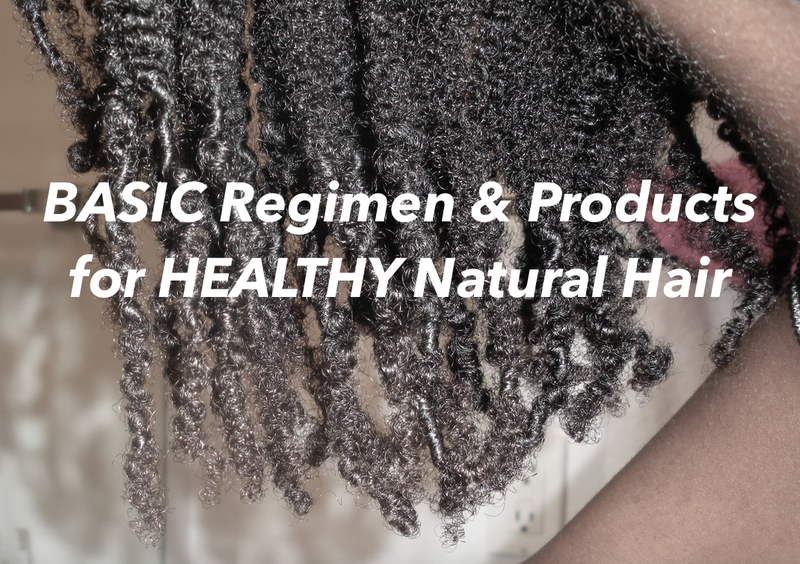 Deep conditioners are important because they temporarily bind to (and sometimes penetrate into) the hair protecting and/or smoothing the strand until the next wash. Undo each braid, apply the conditioner, and rebraid. Put on a shower cap and be sure to allow the conditioner to sit for at least 20 minutes before rinsing. Choosing a deep conditioner: Look for one that contains moisturizing ingredients, such oils (e.g., olive, coconut), fatty alcohols (e.g., cetyl alcohol) and humectants (e.g., glycerin). The particular ingredient depends on what your hair likes. I also recommend finding a deep conditioner that has 'slip' and weight, both of which ease the detangling process. Deep conditioners like this usually contain heavy oils and fatty alcohols, like listed above. Our curls, coils, and kinks like to tangle upon themselves, so detangling regularly is a necessity for many naturals. If you have thick strands, I highly recommend detangling conditioner-soaked hair and with a wide tooth comb. Take down a braided section, detangle, and rebraid the section. Then rinse out the conditioner. However, if you have fine strands, you may fair better with finger detangling on dry, lubricated hair. Water is the best moisturizer out there for natural hair. After a good wash and deep conditioning session, you can follow up with an oil or butter to seal in the water. In between washes, if your hair gets dry, you can apply a bit of water or do a full-on rinse and then re-seal. Another option is using a water-based spritz. *TWIST OR BRAID YOUR HAIR & VOILA! Wear the twists/braids (great protective style!) until your next wash or unleash for a twistout. (See twistout instructions here.) Be sure to wear a silk scarf to bed or use a silk pillow case to protect your cuticles as you sleep. Other styles for natural hair - protective and low manipulation - can be found here. If you find that frequent shampooing is drying to your hair, you may want to explore using a conditioner to wash. Just wet your hair, apply conditioner, and massage your scalp and hair as usual. After rinsing the conditioner out, seal and style. You're welcome! Happy Belated Nappiversary. Sure thing. I'll discuss the topics in separate posts. Thanks for dropping by! This is my first time doing research on healthy natural hair and I wanted to clarify if it was absolutely necessary to wash your hair in braids?? 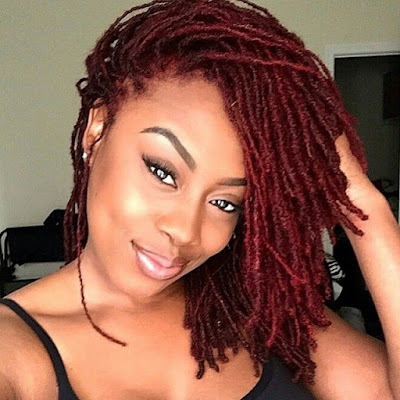 When the natural hair gets longer than 6-8 inches, many naturals switch to washing in braids or twists. It helps to minimize tangling and thus breakage. However, it is better to do what your hair likes. If your hair thrives without washing in braids, then there is no need to fix what isn't broken. If you're having difficulty retaining length, then washing in braids may work for you.